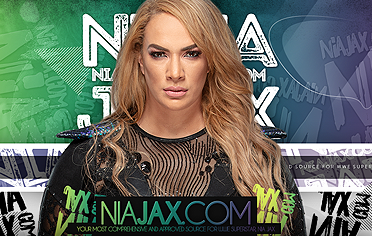 After losing to Asuka, Nia Jax has a hard time with the defeat. We come back to the panel for discussion on Nia Jax vs. Asuka. Graves picks Nia Jax and Lita goes with Asuka. 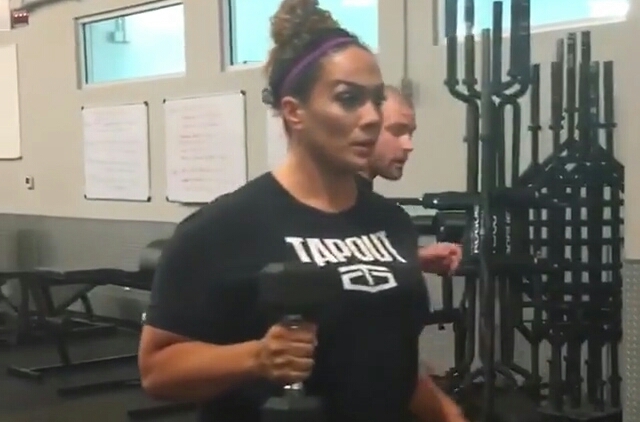 We see Nia Jax backstage warming up. We get a video package for tonight’s Women’s Title match. Match starts and Asuka immediately attempts to take Nia down. Nia will helicopter sling to Asuka. Asuka ends up getting the guillotine locked in out of nowhere but Jax breaks it with a big suplex and another 2 count. Jax ends up putting Asuka in a bearhug. Asuka gets out and tries to get Nia down but she can’t. Asuka goes with a knee bar instead. Jax makes it to the bottom rope and breaks the hold. They go on and Jax slams Asuka in the mat but then misses a leg drop. Asuka rallies with a sliding knee. Jax talks some trash but gets kicked. Asuka comes off the second rope with a missile dropkick. After the match, Jax recovers and Asuka gets her gold as we go to replays. We see a trainer checking on Jax in the corner as Asuka makes her exit. 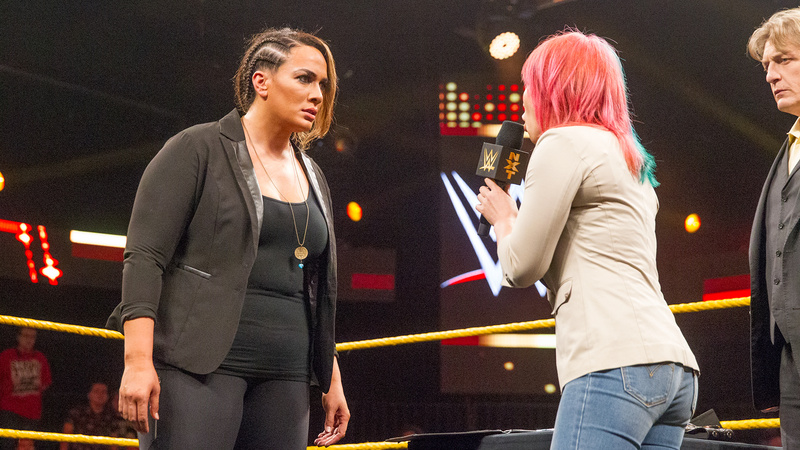 The towering Nia Jax poses the biggest challenge NXT Women’s Champion Asuka has faced since arriving in NXT. 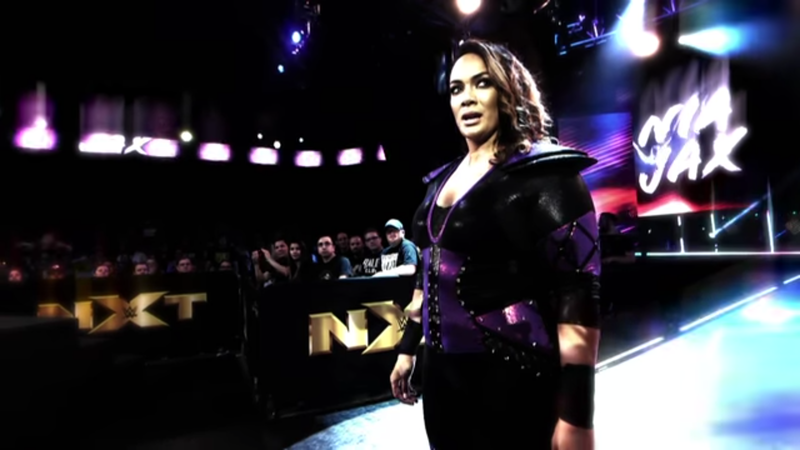 Can The Empress of Tomorrow topple her monstrous opposition? Find out at NXT TakeOver: The End…, live this Wednesday at 8 ET/5 PT, only on WWE Network! 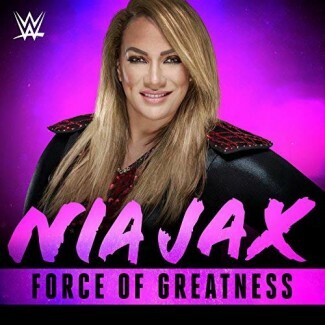 Asuka & Nia Jax are both out for the contract signing. 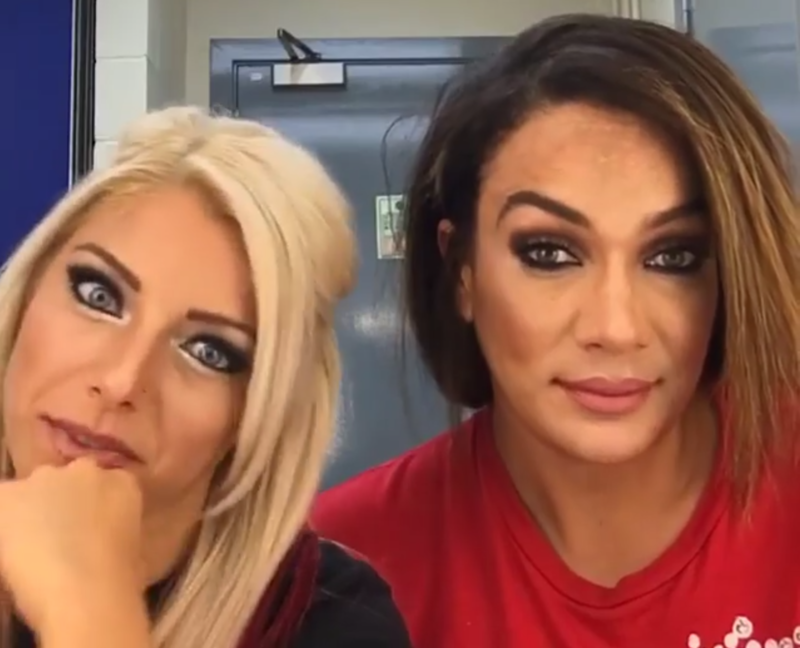 Nia says Asuka beat Bayley but she broke Bayley and will beat her because Asuka’s never faced anyone like her. Asuka says Nia talks too much, and should be scared of her. They step to one another, and Asuka with a series of strikes, but Jax catches a kick and powerbombs her. She stands over the Asuka as the show closes.